Mainstream biomedical and behavioral sciences are facing what has been dubbed “the reproducibility crisis.” The crisis is borne out of failures to replicate the results of published research at an average rate of somewhere near 50%. In this paper I make a case that the prime culprit leading to this unsatisfactory state of affairs has been the widespread use of p-values from tests of statistical significance as a criterion for publication. Even though it has been known, and made public, for decades that p-values provide no quantitative information about the likelihood that experimental results are likely to be repeatable, they remain a fundamental criterion for publication. A growing realization among researchers that p-values do not provide information that bears on repeatability may offer an opportunity for wider application of research methods frequently used in the research specialty known as Behavior Analysis, as well as a few other research traditions. These alternative approaches are founded on within- and between-participant replication as integral parts of research designs. The erosion of public confidence in science, which is bolstered by the reproducibility crisis, is a serious threat. 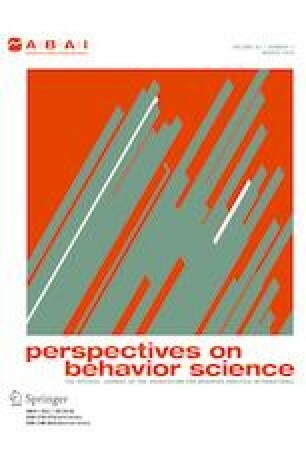 Anything that the field of Behavior Analysis can offer as assistance in ameliorating the problem should be welcomed.